Article by RIck Beyer in Works that Work,an international design magazine. Detailed article about Ghost Army deception techniques. Item in the Boston Globe's "Names" column. Entertainment Weekly: Bradley Cooper to Produce WWII Action Drama "Ghost Army"
"Bradley Cooper is heading back to war, aided by his cinematic band of brothers. The American Sniper actor will produce Warner Bros.’ upcoming Ghost Army, alongside Sniper producer Andrew Lazar and The Hangover director Todd Phillips." 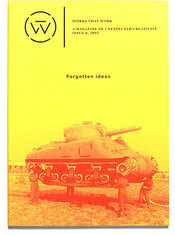 Steven Heller included The Ghost Army of World War II in a round-up of visual books on May 31, 2015. "An unusual history describes how the age-old skills of painting, drawing and making things helped win World War II, highlighting one surprising way art and artists have proved their value during times of crisis." 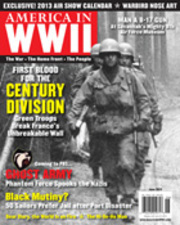 Review of The Ghost Army of World War II by Allyson Patton in June 2015 issue. "well written, lively, and informative, a complete pleasure to read." CBS Evening News Story by correspondent Jim Axelrod. 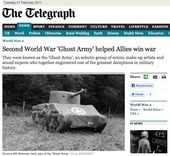 New York Times review of THE GHOST ARMY by Neil Genzlinger. San Francisco Chronicle writer David Wiegand's review of THE GHOST ARMY was syndicated across the country, seen hear in the Miami Herald. TV Guide critic Matt Roush picked The Ghost Army as the "top pick" for the night it was on, and pulled no punches in his enthusiastic endorsement of the film. A review by Los Angeles Television Times critic Robert Lloyd. A New York Times review of the Ghost Army Art Exhibit Artists of Deception at the Edward Hopper House Art Center in Nyack, NY. 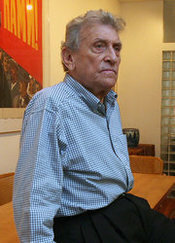 April 19, 2013. 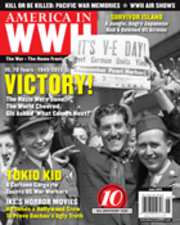 An article I wrote for the May 2013 issue of America in WWII magazine about the film. They did a great job with photos and layout, and prominently promoting the PBS broadcast. 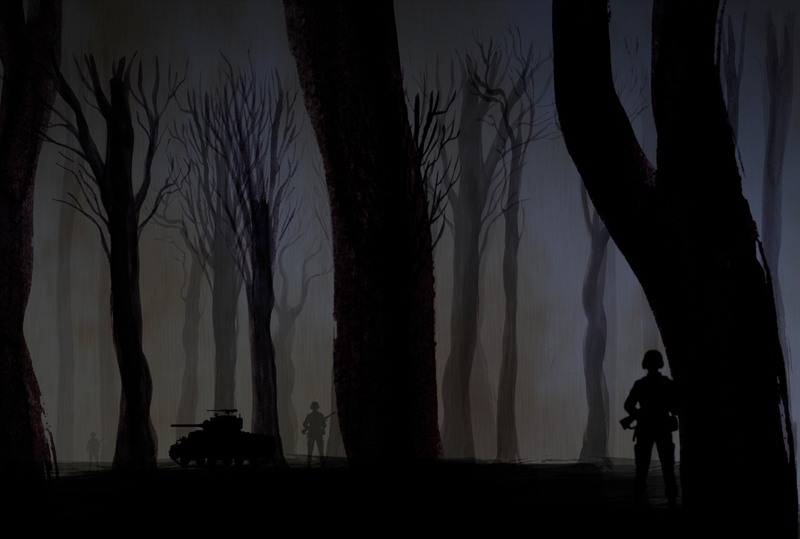 The first of two segments devoted to The Ghost Army that appeared on WCVB TV's "Chronicle" Program in December 2012. Each segment starts with a clip, and then a short interview with filmmaker Rick Beyer. February 22 Interview with Rick Kogan on WBEZ's "Afternoon Shift"
The second of two segments devoted to The Ghost Army that appeared on WCVB TV's "Chronicle" Program in December 2012. Each segment starts with a clip, and then a short interview with filmmaker Rick Beyer. 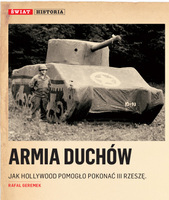 An article in Newsweek Poland about the film and the story of the Ghost Army. This little-known unit's knack for deception was crucial to Allied success in World War Two. An article about a special screening of the rough cut held at the Milwaukee VA hospital in honor of Ghost Army veteran Al Albrecht, who is hospitalized there battling cancer.